Since Raul Castro assumed power from his older brother Fidel in 2006, Cuba’s democratic space has unfortunately remained limited and restrictive. Many Cubans are extremely frustrated with the totalitarian nature of the regime, which includes systematic violations of human rights and the denial of nearly all civic and political liberties. 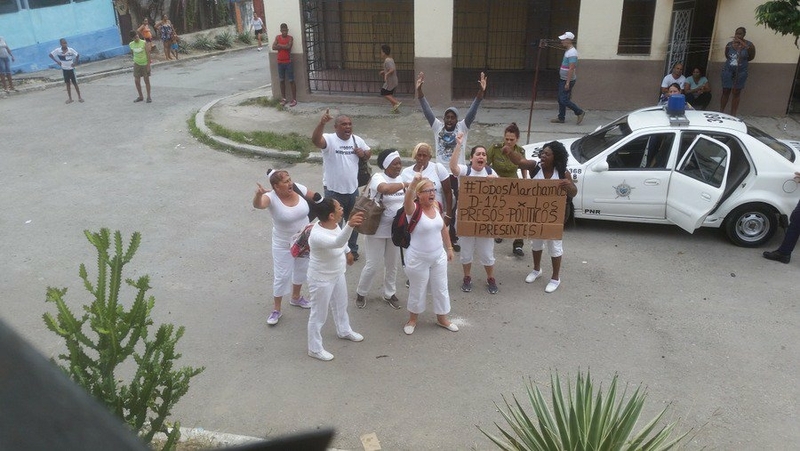 The Cuban government has continuously punished any citizens that criticize and speak out against those in power, labeling them ungrateful for social services and in many cases, foreign agents. With a one-party political system and no free and fair elections, the Cuban government uses military power and the dominance of the Castro family to control both business and politics. Despite this closed space, civil society groups continue to work toward building a democratic and pluralistic Cuba. The government uses arbitrary arrests and other repressive tactics to intimidate human rights activists and journalists seeking to promote democratic values, increase pluralism, and stand up to Cuba’s totalitarian rule. According to Freedom House, the Cuban government has increased its use of short-term detentions, harassment, beatings, and acts of repudiation to intimidate the political opposition, isolate dissidents from the rest of the population, and maintain political control of all public spaces. These abuses of power come from many levels of government, ranging from high-level government officials to security officers handling peaceful protests. According to Human Rights Watch, over 10,000 reports of arbitrary detentions have been recorded over the past 5 years. On Human Rights Day in December 2015, approximately 100 dissidents were detained for protesting on charges of disturbing the public order. Despite a number of political prisoners being released in recent years, many Cubans are still imprisoned under inhumane conditions. Cuban independent civil society organizations, along with international human rights groups and organizations such as the International Red Cross, are unable to access the penitentiary system and thus prevented from obtaining the most up-to-date information on prison conditions in Cuba. 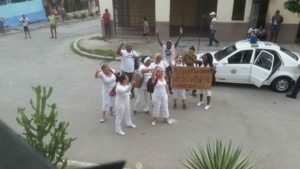 While independent media and civil society organizations like the Ladies in White, Patriotic Union of Cuba (UNPACU), the Cuban Commission for Human Rights and National Reconciliation (CCDHRN) continue to demand improvements from the government, fundamental freedoms, including freedom of peaceful assembly, freedom of association, and freedom of expression, remain tightly controlled. READ MORE ABOUT CUBA’S POLITICAL PRISONERS. While the international community has condemned Cuba’s human rights record and violations, Cuba remains protected and often evades scrutiny in intergovernmental organizations. As evidence, Cuba even holds a seat on the United Nations Human Rights Council. Despite Cuba’s repressive environment, many government and civil society voices hope to influence Cuba through these international fora. In another effort to exercise international leverage, the Organization of American States (OAS) lifted Cuba’s suspension from the organization in 2009, but made Cuba’s participation contingent on its concordance with OAS human rights principles. The effectiveness of this move is yet to be determined. Cuba’s human rights record was assessed under the UN Universal Periodic Review, but according to Amnesty International, Cuba rejected most of the recommendations relating to the protection and promotion of civil and political rights, including its imprisonment of activists and treatment of political prisoners. Although appearing to have listened to the international community’s demands, the Cuban government has maintained tight control over public space. While long-term sentences for political prisoners have lessened to some extent, the government still uses short-term arbitrary arrests, harassment, and threat to stifle fundamental freedoms. 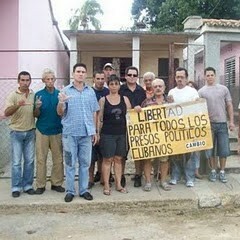 Today, Cuba still has more than 70 political prisoners according to independent civil society groups on the island. Many of them face charges with no proof or evidence and have not had the benefit of due process of law. As Cuba slowly opens its door to the international community, it is hoped that Cuban civil society’s voice and democratic demands will be heard while the world is watching.